The cold is here – and likely to stay – as we work our way up to the dark winter months. Digging through closets for our heavy coats and scarves, hats and gloves is all part of the process to keep ourselves warm while venturing outside. But what about our furry friends? Pets and cold weather aren’t always a good match, so it’s important to take special measures to ensure they safely make it through what can be a tough season with their health and happiness intact. 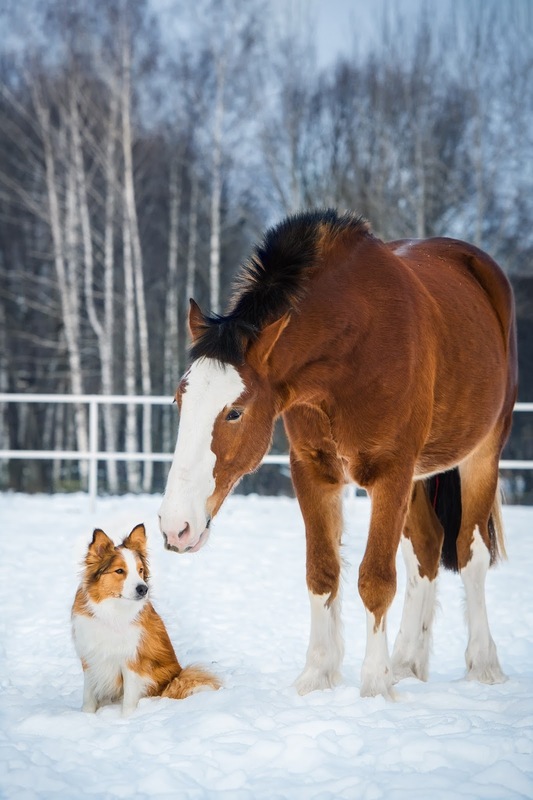 Here at Paris Farmers Union, we’ve put together a few winter pet safety tips to help your loved pets get through the winter, whether they love frolicking through the snow or would rather stay curled up by the fire for the next four months. Read on to learn more! For pets that stay outside most of the time, they’ll probably need some kind of shelter as protection from the elements. Make sure it’s warm, dry and doesn’t let in drafts. Imagine wandering through snow drifts barefoot. Doesn’t sound too comfortable, does it? And it’s often not comfortable for pets, either – especially when chunks of snow build up between the pads of their paws. Avoid this discomfort (and the possibility of frostbite) by putting booties on your pet’s paws. They also may like a coat or hat, depending on how thick their own coats are. Warning signs of frostbite are waxy, firm skin and blisters, so keep an eye out for those. Pets that come in and out of your home frequently during the wintertime will start to feel the effects of flaky, itchy skin. Keep your home humidified and towel dry your pet as soon as they come inside to alleviate this discomfort. This may go without saying, but save shaving your pet for the warmer months, as they’ll need as much hair or fur as possible to hold their heat. 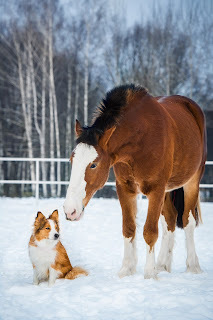 For animals with long hair, give them a trim to reduce the buildup of snow on their coats. Cold temperatures mean we’re all burning more calories to stay warm – so outdoor pets will probably need more food than usual. Keep an eye on their food bowls, and notice whether or not they’re chomping down more than usual. While you’re at it, make sure their water stays in liquid form; you don’t want your animal to have to lap at a frozen puddle to stay hydrated. Wash and dry your pet’s feet after walks to remove snow balls, salt and any melting chemicals that may line your neighborhood’s streets and sidewalks. You don’t want your pet being exposed to those chemicals by licking them, so best to wash everything off before they’ve got the chance. While we’re on the subject of chemicals, antifreeze is another one that can cause serious harm to your pet if ingested. If you’re using antifreeze on your vehicle(s), be sure not to leave any spills behind that an animal could lap up. If your pet starts to convulse or act drunk and you suspect they could have been exposed to antifreeze, contact your vet as soon as possible. Baths should be avoided during low temperatures, as they’ll remove essential oils your pet needs and increase dryness of their skin. Ever started your car on a cold winter day to see a screeching cat jump out from beneath your hood? A warm motor is the perfect place for kitties to curl up next to – until the engine rears up for its next ride. So before starting your car, give your hood a couple taps to make sure no creatures have found their way inside. If temperatures are really low, consider bringing outdoor pets inside. 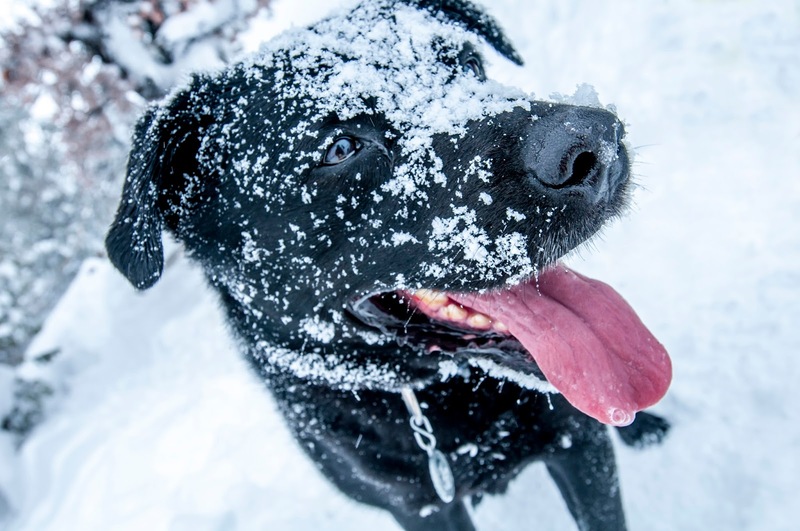 It’s not a good idea to stay out in the frigid air for too long, so it may be wise to venture out only for your pets to relieve themselves and then head back indoors. Your pets may not be able to tell you how much they dislike being cold, but rest assured, they feel that same air you do and know when enough is enough. Keep them happy and warm with these tips, and you’ll be on your way to enjoying a winter wonderland, however low the temperatures plummet this year!